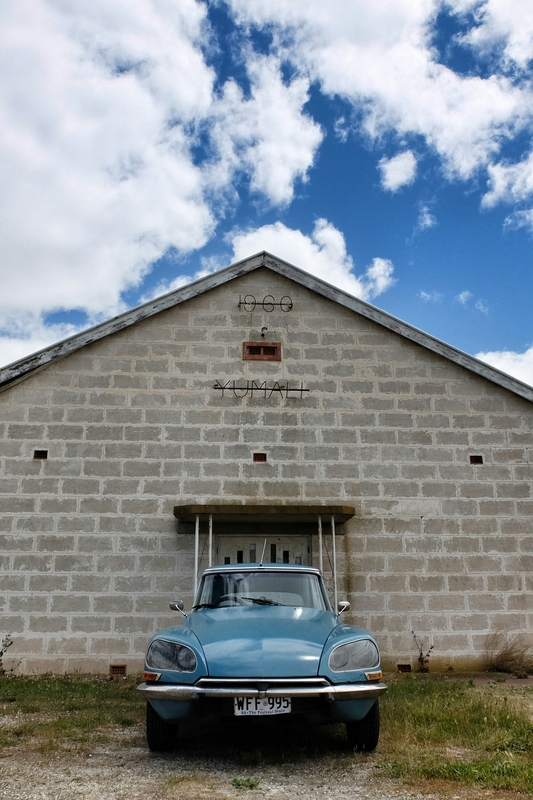 My Citroën DS: homeward bound, and a New Blog! Meet Daphne, a 1974 Citroën D Special that I drove home from Adelaide on the weekend. Rather than tell you all about it here, may I suggest that you pop over to my new blog dedicated to car worship at goddessonahwy.wordpress.com? Photographed enroute at Yumali, a scarcely-one-horse town on the highway south of Tailem Bend. Fujifilm X30; mild edits applied in Snapseed app.